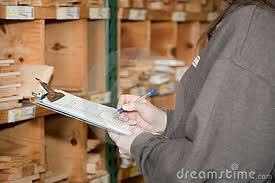 At the end of each fiscal year, many large corporations go through what is called Physical Inventory. This is when they count their inventory and compare it to what they think they have in stock. They adjust the number of units of each item they have with what they physically count. Then they compute the loss or gain of inventory value in dollars and adjust their books. This is done so that inventory, which is an asset, will not be overvalued and inflate their corporate worth. From time to time I think the church should do the same. But I don’t suggest we count our members that are on our church roles. That would be like counting unopened boxes of stock, assuming we have the contents printed on the outside in the box. A membership role in a church is of so little value that I’m still not certain why they exist. It has no Heavenly value. God won’t give you little gold stars for having your name on a church roster. It has no binding power over its members since most are littered with the names of people who never show up. It offers no benefits to those that are on the roster. You don’t get better parking spot for being a member or more juice at communion. It’s just paper! Dead trees! Instead, we need to count the things important to God. God has a specific design for the church. Unlike the country club we’ve often made them to be, they are to be spiritual warehouses, filled with people strong in their faith that yield God’s word as a sword against the world’s circumstances. When you are broken, their prayers should deliver restoration. For the lost, their witness should lead to the salvation in Jesus Christ. They are to be known as those that have a ‘God first – You second – Me last’ attitude. When you are sick, their prayers should bring healing. When you have a need, they should help. In short, they were to know it - live it - and do it (‘it’ being the things that bring glory to God). The work of the church should be three parts: Edification, Benevolence, and Evangelism. These are the things we should count when inventorying our churches. First, take a look at those that attend your church. Are they growing in God’s word? Are they “being filled with the knowledge of His will in all wisdom and spiritual understanding”? If not, your inventory asset just shrunk. People that do not know God’s word cannot understand Gods will and grow in spiritual understanding. If your members are spiritually anorexic, they need a new diet. A successful church is filled with people who hunger for His word, and savor every morsel. If you have a much smaller number attending Bible study than potluck dinners, you’ve got an inventory problem. Secondly, is your church actively working for others both inside and outside its doors? Benevolence is the working of the command to ‘love one another even as I have loved you’. It’s charity in both finance and deeds. There are plenty of churches who offer their money to fund certain things through ‘Benevolence Committees’. But if you don’t also offer yourselves and your time, only your money is doing God’s work. The real work is when you “present your bodies as a living sacrifice, holy and acceptable to God, which is your REASONABLE service.”(Romans 12:1) People need more than a check. People need companionship, examples of Christianity, role models, ‘Jesus with some skin on’. A church without bodies at work for others needs employment – like raking leaves for the elderly, visiting nursing homes, childcare days for working moms to take a break, and ___(insert what God just told you to do here)___. Last, and most importantly, the church should be winning others to Christ. While the salt that we are to be should flavor the world around us, the light that we are to be shines on Christ and leads others to Him. Don’t count your baptisms; don’t count the growth of your church’s membership. Count souls, which is what matters. How many have you lead to Christ this year? Do your members long to see others – not just attend church services – but see lives transformed by the entrance of Jesus into their hearts? A church that is not growing others in Christ is like the withered grape vine that is thrown into the fire. John 15: 5-8 says that if we are God’s, we bear fruit (souls saved – new growth – new branches). But if we don’t bear fruit, we wither and are pruned off and thrown into the fire. It says that God is glorified when we bear fruit, and by this we are His disciples. Take a look around your church. Who within its population do you see as an evangelical Christian, one who will tell others how to gain eternal life? Who has a broken heart for specific people without Christ, a genuine desire to see salvation come to them? Now…listen carefully. If you don’t see your whole church as evangelizing, you have an inventory problem. We are to ALL be His disciples, not just the preacher and the Sunday School teacher. Your inventory is not growing, and therefore, your assets are not growing. There are no perfect churches, and we can be certain of this for one reason. Churches are filled with imperfect people. Though we are saved by God’s grace, and His chosen people, and a Holy Nation, we are still being sanctified, transformed into who He desires us to be. We are a work in progress, and will continue to be such until He returns. That’s why He commanded us to “Be ye therefore perfect, even as your Father which is in heaven is perfect”(Matthew 5:48). There’s work to be done – from the inside out. So what do we do when our inventory comes up short? A successful inventory doesn’t stop with the count and the correction of the books. A truly successful year-end inventory determines what process or transaction is broken or needs work, and resolves to correct the problem so that the next inventory will have a smaller variance. With that in mind, what changes do we make to insure we move closer to the vision God has for the church? When assisting a company with a year-end inventory, the first question is not when to do it or how to carry it out. It’s what kind of inventory do you want. Do you just want to know the dollar variance, or do you want to correct the issues causing the variance long term? You’d be surprised at how many corporations just want to log a dollar value of variance, and ignore the problem. You’d likely be surprised at the number of churches that know they have a problem, but won’t correct it. And for these, as Paul did, we pray.